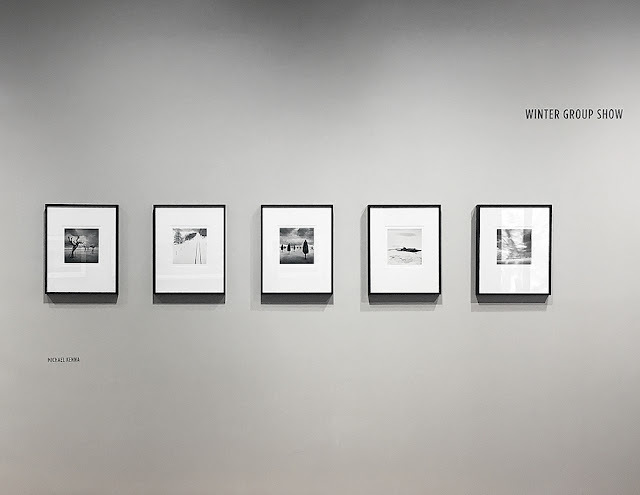 photo-eye Gallery Winter Group Show: Michael Kenna photo-eye Gallery's Winter Group Show features 5 recent works by Michael Kenna, including 4 previously unpublished at photo-eye. A pair of snow-covered railroad tracks, 12 skeletal beach umbrellas, the ruins of a 13th-century farm – each of Michael Kenna's images in the Winter Group Show serve to show human being's relationship with our environment over time. Each scene's subdued atmosphere, dynamic construction, and vacant silence prompts a moment of reverence and reflection from the viewer. photo-eye Galley was excited to open the 2018 Winter Group Show last weekend during the Railyard Arts District's Last Friday Art Walk. 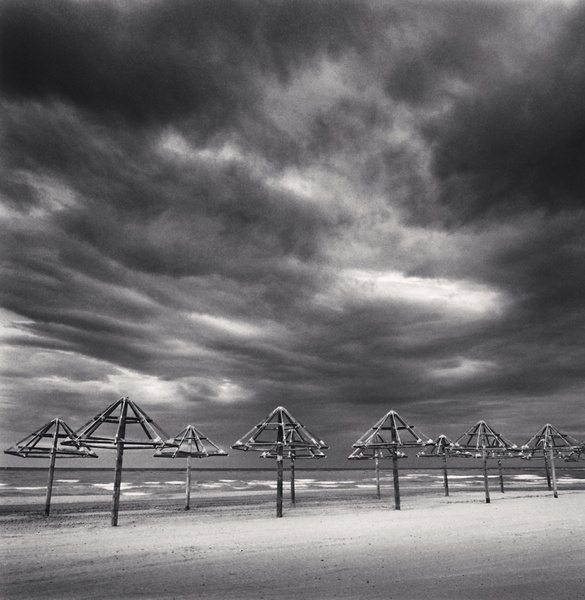 Among the six artists on view, we are proud to feature 5 recent works by Michael Kenna from the Abruzzo region in southern Italy. 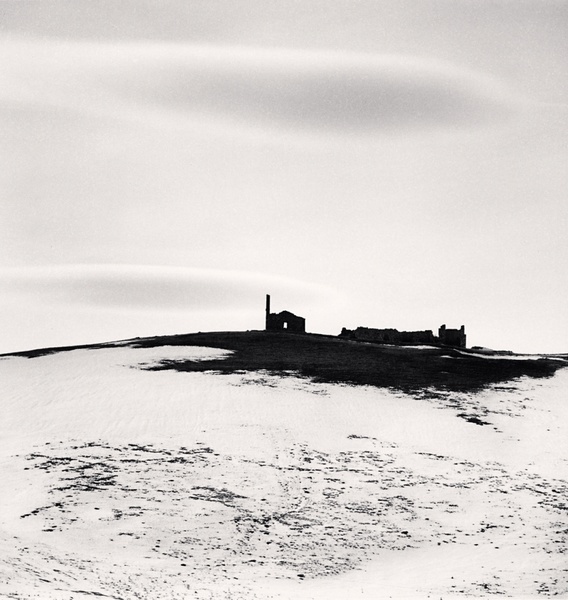 Kenna's five 8x8" black-and-white images are indicative of his signature minimalist style and desire to commune with a place rather than capture it. 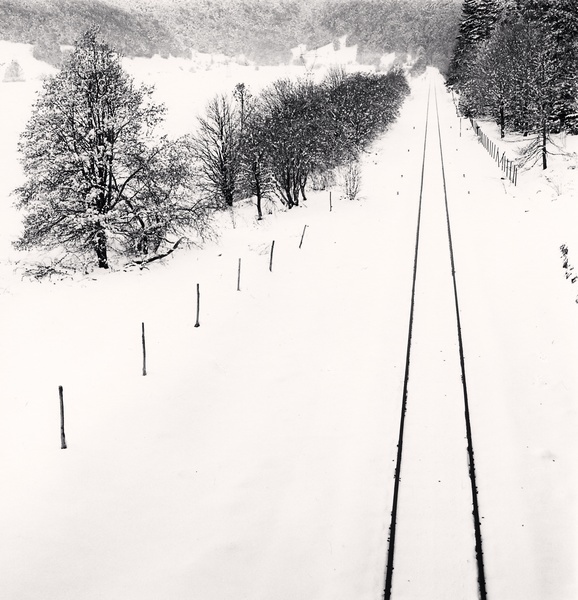 All five toned silver gelatin prints were hand-made by Kenna in his studio and presented here in 16x20" mats. Prices are current at the time this post was published by may change as the editions sell. Contact the gallery for current prices. 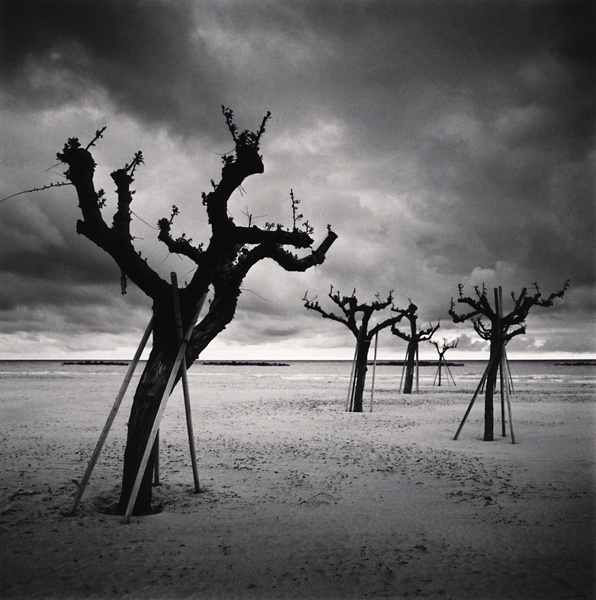 For more information on Michael Kenna, and to purchase prints from the Winter Group Show, please contact Gallery Staff at 505-988-5152 x202 or gallery@photoeye.com. 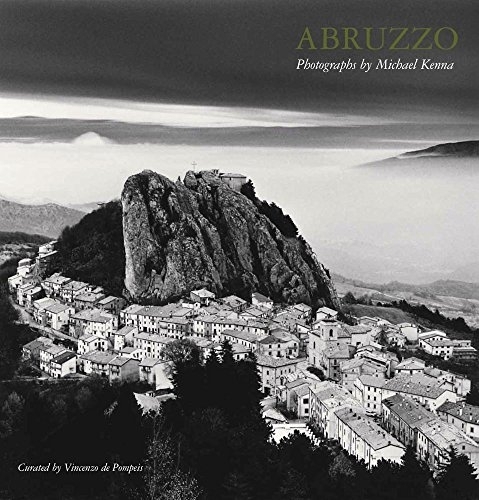 Nazraeli Press recently released Abruzzo a monograph of Michael Kenna's images from the southern Italian region featuring 65 duotone illustrations and an introduction by Vincenzo de Pompeis. 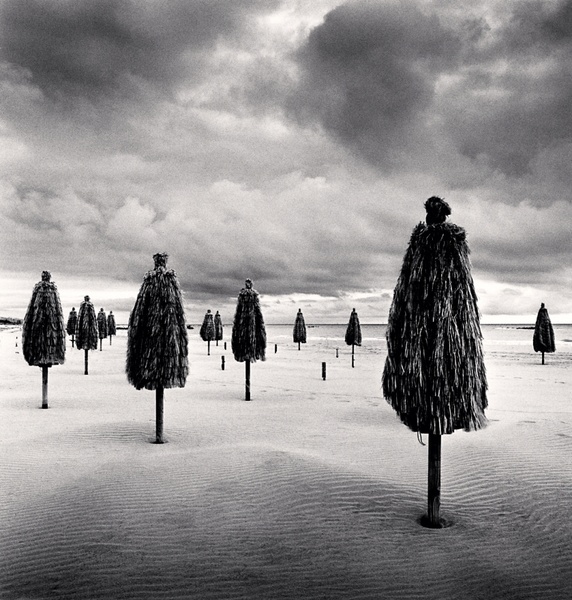 If you are interested in Michael Kenna, Light & Land's Graeme Green published this outstanding interview with the Artist on January 2nd. Their conversation covers Kenna's approach to image making as well as his flirtation with the plastic Holga camera.